Hope you all have a wonderful day filled with friends, family, and good cheer. How do you write about something that completely changed your entire life in one small moment? In that moment, death became real. But in a way that someone actively decided to end their life. Why did you feel this was the only way? Why are people so insensitive about what happened? How come the school isn’t talking about this? How does something like this get pushed to the side? How do we stop this from ever happening again? These questions have stuck with me for the last 11 years. And over the years, it has not only shaped the kind of person I am but my career path. These are the topic that people do not want to talk about. 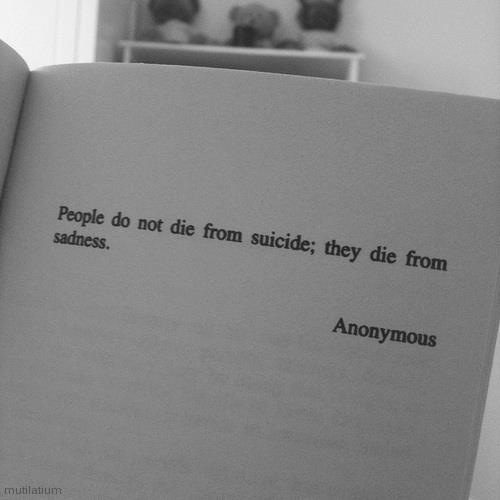 Sadness is real, Depression is real, and sadly Suicide is real. It could be that student with the straight A’s who buries themselves in work because they don’t want to deal with the real world. It can be that person who sits quietly, going day-to-day doing what they have to do to survive but never really living outside that comfort zone.